Louisville is the state of Kentucky’s second largest city and is home of the famous Kentucky Derby, it is well-known for its Louisville Slugger baseball bats, and is the original home of Kentucky Fried Chicken! Louisville is an eclectic and spirited city that provides its lucky residents with access to thriving business, safe and family-friendly residential neighborhoods, and plentiful recreational and entertainment opportunities. Living in Louisville also means that you have easy access to the exceptional pest control services that are provided by the Kentucky pest control experts at Action Pest Control. At Action Pest Control we are proud to offer of Louisville customers with comprehensive pest control options and exceptional customer service. Discover today why we are a company that is trusted by over 23,000 happy customers; give us a call today to learn more about our highly effective residential and commercial pest control options. Louisville is considered an area of humid subtropical climate, which means our summers are hot and muggy and winters are fairly mild. This means that Louisville is a perfect place for many household pests to thrive. Ants, bed bugs, termites and spiders are among the most common household pests in Louisville, but rats, mice and mosquitoes are common depending on the season. Do you have pests around your property? Contact the Customer Care Team at Action Pest Control, and we'll have an inspector stop by to identify your pest control needs at no charge. During the warmer months of the year, there are many pests that may infest your home....ants, spiders, but did you know you may see termite swarmers this time of year as well? What are termite swarmers, you ask? They are the reproductive termites, who leave their colony in search of starting a new one and it just might be your home! Fortunately for you, Action Pest Control is ready to help you defend your home from these pests with our termite control services. Our termite professionals can identify, eliminate and prevent termite infestations with the use of Termidor, one of the most effective termite treatments available. Don't let termites take over your home, contact Action Pest Control of Louisville today! At Action Pest Control, we provide year-round protection for families, belongings, and homes from the wide variety of pests that live in the Louisville area through our four year-round residential pest control programs. These programs include our Essential program, our Advanced program, our Complete Program, and our Premier program. Our Essential program is a program that has been specifically created for our homeowners that experience minimal insect activity inside of their home; it protects homes and families from insect activity by maintaining a preventative barrier against pests around their home. Our Advanced program provides a bit more protection and protects homes from nuisance and damaging insects and has been specifically designed to target and control the most common household pests. 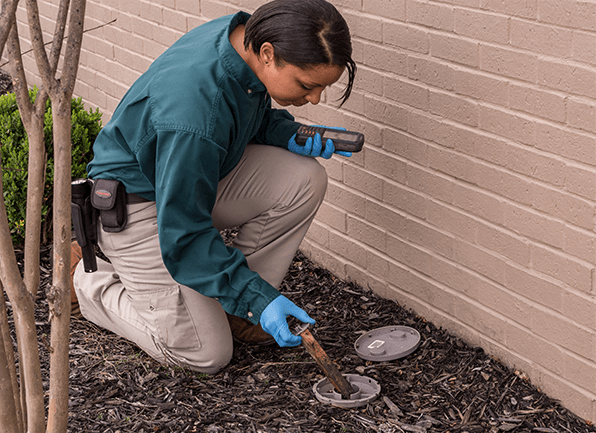 Our Complete program protects homes from common insects, rodents, and wood-eating termites through an annual termite inspection and our termite monitoring service. And finally, our Premier program is our most popular option and offers protection against common insects and rodents in addition to superior protection against termites through inspection, monitoring, treatments, and a warranty. To discover which program is the perfect fit for your Louisville home, give Action Pest Control a call today. There are many ways that you can limit you and your family’s exposure to mosquitoes. To help avoid biting mosquitoes when spending time outside with your family, it is most important to rid your property of any standing water that mosquitoes find so attractive. Female mosquitoes lay their eggs on top of areas of standing water; therefore removing containers that can collect water, making sure that gutters are clear, and properly maintaining your pool can do wonders to make your property less attractive to biting mosquitoes. It is also important to maintain your lawn and keep it cut short and to trim back any overgrown shrubs or bushes- all places that mosquitoes like to hide in during the heat of the day. Also, both female and male mosquitoes feed on plant nectar so reducing the amount of flowering plants, bushes, and trees on your property can in turn help to lower mosquito populations on your property. To keep mosquitoes out of your home it is important to keep windows and doors closed as much as possible and to make sure that any window and door screens are completely intact. In addition to taking precautionary measures around your home, partner with Action Pest Control and putting into place a professional mosquito abatement program. At Action we can protect properties from mosquitoes through seasonal mosquito control, a one-time service, or our community wide abatement program. We can also protect businesses from mosquitoes through our commercial mosquito abatement program. Give us a call today to learn more! General commercial pest control solutions through our 10-step preventative pest management program, fumigation services, pest bird control, and mosquito abatement are just some of the ways that Action Pest Control protects Louisville businesses from being invaded by and damaged by pests. At Action we want to work with Louisville business owners to put into place a plan of “action” to guard your facility, customers, employees and business’s reputation from Kentucky pests. Our customizable commercial pest control options will not only work to keep pests and their potential dangers and damages at bay, but ensures that your facility exceeds third party inspections and internal quality assurance audits. Let’s work together to completely get to the root of your business’s pest problem and solve it once and for all. Bed bugs are prolific pests that are found living all across the country, including throughout Louisville, hitchhiking their way into new environments on people or their personal belongings. To protect your home from being invaded by bed bugs the pros at Action Pest Control want to provide you with some common bed bug prevention tips to reduce you and your family’s chances of coming into contact with them. Regularly inspect and vacuum the areas of your home where you and your family sleep for signs of bed bugs. Regularly inspect the areas of your home where your pets sleep for signs of bed bugs. When spending time in public places including hotels, airports, libraries, movie theaters, schools, hospitals, and shopping centers keep personal belongings up off of the ground. Have a good understanding of what bed bugs look like and what the signs of their presence are. After returning home from vacation or any type of travel wash and dry all clothing that you brought with you on a high heat setting. Don’t purchase used furniture, mattresses, or box spring for your home. Limit the amount of clutter in your home; the more clutter you have in your home allow for more places for bed bugs to hide. Place covers on all mattresses and box springs in your home to limit hiding spots for bed bugs. If you ever discover bed bugs inside of your Louisville home, immediately contact Action Pest Control. We can provide the comprehensive services needed to find all the bed bugs inside of your home and completely eliminate them. To learn more about our highly accurate and effective bed bug dog inspection services and our bed bug heat treatments, please give us a call today!